When a citizen is arrested for DUI, one of the first questions on his or her mind is, "how is this going to affect my driving privileges?" The system is very complicated, so here is a quick primer on how license suspensions work in Florida after someone is charged with DUI. The Florida law has been thoroughly re-written for DUI arrests that occur after July 1, 2013, and that new law is below. 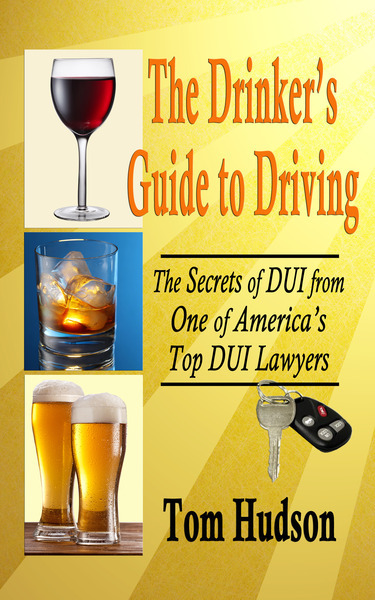 First, you have to understand that DUI is actually two cases in one. This is supposed to violate the constitutional prohibition against double jeopardy, but the courts have made an exception to the Constitution for DUI offenders. A DUI means you can be punished twice--including two separate, independent license suspensions.The first DUI case is a civil administrative law case. It is held in front of a state hearing officer, rather than a judge. The burden of proof is lower than in criminal court, and the only punishment they can give is to suspend your driving privileges. The second DUI case is the traditional criminal case. It is held in a courtroom, before a judge, and while the judge can ALSO suspend your license, the judge can do a lot more--like imposing fines, probation, and even a jail sentence. That ten-day license is an unrestricted license. It is good for driving anywhere, anytime. If you demand a hearing to determine their right to suspend your license, then they will extend your right to drive until the hearing can be held. This license is different from the ten-day temporary license. First, it is in the form of a piece of paper sent from the DMV. And it is generally good for 42 days (six weeks). But the most important difference from the ten-day license is that the six week license is a "BPO." A BPO is a "Business Purpose Only" license. Driving to and from work and necessary on-the-job driving. Driving to and from school. Driving to and from the doctor. Driving to and from church or other religious activity. There is a catch-all provision which allows you to drive in order to "maintain your livelihood." Courts have ruled that this includes driving to pay your light bill or your car insurance, driving to buy groceries, and even driving to eat at McDonalds or Burger King. It's not clear if it includes a drive to a fancy steak house for a big dinner. 1. If you win your hearing, then you can go to the nearest DMV office and get a duplicate unrestricted license. That license will be permanent, unless it is suspended by the court in your criminal case. 2. If your suspension is upheld at the DMV hearing, then your driving privilege will be terminated as of midnight on the expiration date of your temporary 42 day license. You will have to serve a "hard time" (no driving of any kind under penalty of serious jail time) suspension of either 30 days (for an unlawful blood or breath level) or 90 days (for a refusal to take the test).At the conclusion of your "hard time" suspension, you will become eligible for a hardship BPO license. 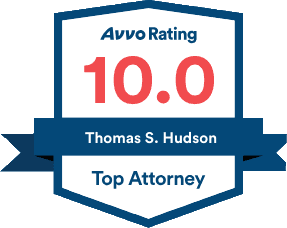 Your hardship BPO license lasts for six months, (twelve months if you refused to blow in the machine) and if your DUI case hasn't been concluded by then, the restrictions come off and it becomes an unrestricted Florida drivers license. (The date that it becomes unrestricted will be on the license.) If the court then gives you a license suspension as a penalty for a conviction of DUI or Reckless Driving, you will have to return to the DMV and get another hardship BPO. Even if you have served your DMV suspensions, you still might have to undergo another drivers license suspension if you are convicted of DUI, Reckless Driving or even Possession of a Controlled Substance. The good news about a court-ordered suspension in the State of Florida is that it has no "hard time" period, as long as you have no prior DUI convictions. If you have completed your hard suspension from the DMV, then you will be eligible for a Business Purpose Only hardship license from Day One of your court-ordered license revocation. If you have any previous DUI convictions, and get convicted of DUI in your criminal case, though, you have a bigger problem. The Florida DMV will not issue a hardship BPO to a driver who has more than one conviction for DUI. So keep this in mind: If it is your second conviction, then you will have to serve out the entire period of the court-ordered suspension without a hardship license. The Florida DMV now requires an order signed by the judge showing the case disposition and the sentence before they will issue a hardship BPO following a conviction. Make sure that you have that paperwork when you travel to your regional DMV office to get your BPO. At the end of your court-imposed suspension, you can go back to the DMV and get a permanent, unrestricted license. In this option, you give up your right to challenge your license suspension. If you tested over .08, then your license will be suspended for six months. If you refused the breath test, your license will be suspended for one year.In return for waiving your right to fight the suspension, the DHSMV will no longer require a “hard-time” suspension of your driving privileges. That is, you will be eligible immediately for a Business Purpose Only (BPO) license. What this means is this: Under the new rules, it is possible for a first-time Florida DUI defendant to get through the whole ordeal with a guarantee that he or she won't lose the ability to drive to work--and for medical, educational and church purposes. The downside to this choice is that you give up the chance to challenge your license suspension. You must waive the challenge, meaning that the suspension will always be on your permanent record. Some people will want to fight. However, the decision is up to you. In this option, we challenge your license suspension. The new rules make the hearings a bit easier to win, but if you lose, you will have a 30-day hard-time (“no driving of any kind”) suspension for a test over .08, and a 90-day hard time suspension for a refusal. Obviously, this creates an incentive to go along with the suspension to maintain you driving privileges. The new rules say that we can subpoena the Arresting Officer and the Breath Test Operator to the hearing. If either one of them fails to show, your license suspension will be invalidated. The police can no longer ignore subpoenas, and there is no “grace period” of 48 hours for the officer to give an excuse for missing the hearing. If the officer is 15 minutes late for a hearing, we win and your license suspension will be invalidated. We expect that this new rule will result in a lot of license suspensions being overturned, at least until the police realize that they have to show up when they are served a subpoena. The downside is that if the officer shows up and the suspension is upheld, you will be off the roads completely--for 30 days on a blow over .08, or for 90 days on a refusal. A lot of people will not want to take that chance, but it is your option. We don't advise it, but we work for you, and it is up to you to choose. Because of the changes in the Florida Statutes relating to administrative suspensions, we have had to re-assess whether it is better to take the breath test or to refuse it. Under the new system, for anyone who has never been convicted or had his license suspended before for DUI or refusing a breath test, it is now better to refuse to take the breath test. This is especially true for those who believe that their blood alcohol level is high. In any given case, it might be better to blow or to refuse, but the general rule for first offenders is now, unquestionably, that it will almost always be better to refuse. For more information about Florida's license suspension system, call us, or check out the page of the Florida Department of Highway Safety and Motor Vehicles here.